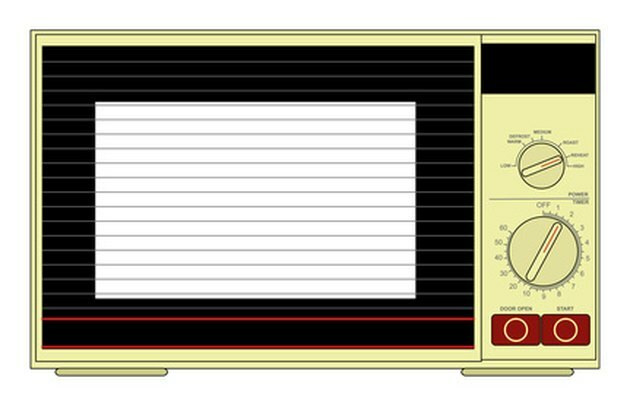 Microwave ovens situated over the stovetop and conventional oven in a kitchen will often come with a hood for venting the cooking fumes from the entire cooking area. Several different microwave hood venting options accommodate different kitchen layouts. Your choice should be based on how much cooking takes place in the kitchen, the location of the cooking area and hood, and the type of dwelling. The standard microwave hood will vent any cooking fume and condensation back downwards into the room rather than upwards towards the ceiling. It is commonly referred to as re-circulation, or recirc. The rising hot air and steam will be directed back downwards through a combination of airflow and the shape of the hood. The disadvantage to this design is the cooking fumes and moisture will spread downwards throughout the kitchen, so it is not ideal if a great deal of cooking is done, however, it is a good solution for people who live in apartments or have a kitchen with no easy access to the outdoors through a window or external wall. Some microwave hoods will be fitted with a fan and a duct that will help remove the cooking fumes, hot air and steam from the room by blowing it out of the end of the duct. In this configuration, one end of the duct would be attached to the microwave hood, with the fan situated between the oven and the duct to blow out the fumes. The second end of the duct would be placed out through the top of the kitchen window, or a hole created in the window for this purpose. The disadvantage to this design is the duct being visible and having to either leave the window open or cut a hole into it to position the end of the exhaust duct. This type of hood also has a fan and ducting to help ventilate the kitchen. The exhaust end of the hood duct is run through the wall of the house to the outside. This is not a viable venting model for people who live in apartments or other rented properties. Creating an exhaust vent through the wall of a brick home is most difficult. Even if it is being installed in only a wooden home or through vinyl house siding, it is advisable to have venting done by a professional. The outside vent area would need to be waterproofed and sealed and a fine-mesh ventilation grille positioned to prevent birds and other wildlife from entering the vent and kitchen. This hood venting works on the same principle as venting through the wall, but would be used if there were no outside wall behind the hood which could be accessed easily. The exhaust vent would release cooking fumes through a hole in the ceiling and the roof tiles. This would require a special duct configuration in order to prevent rain from getting into the vent and causing leaks and water damage. It is also advisable to hire a professional to install it correctly.